It’s curious how the flat lands of Lincolnshire produce architectural surprises. Tattershall Castle can be seen from miles away, but Grimsthorpe Castle, though it’s visible from the main road, is a sudden revelation. The show front is unmistakably the work of Sir John Vanburgh, the architect of Castle Howard (1699-1726), Blenheim Palace (1705 onwards) and Seaton Delaval Hall (c1720-8). Colen Campbell’s Vitruvius Britannicus Volume III (1725) shows three elevations, dated 1722, respectively for the north, south and west or east sides of the house. These façades were intended to mask rather than entirely replace the earlier fabric behind, as at Vanburgh’s Kimbolton Castle, Huntingdonshire (1707-9). Vanburgh was commissioned by the first Duke of Ancaster who died in August 1723, but he was almost immediately summoned by the heir, Peregrine, 2nd Duke, to begin construction which was under way before Vanburgh’s death in 1726. Once the north front and forecourt were completed, possibly under the supervision of Nicholas Hawksmoor, around 1730 the project abruptly stopped. Walking round the four sides of this huge courtyard house shows that it is in fact a palimpsest: though the facades were tidied up in 1811, it’s obvious that the fabric grew over centuries: the earliest identifiable fragment dates from the twelfth century. It’s one of the English country houses that developed in interesting ways during the twentieth century. When Gilbert, 2nd Earl of Ancaster, inherited Grimsthorpe Castle in 1910, he and his American wife, Eloise, brought in the architects Detmar Blow and Fernand Billerey and the decorators Lenygon & Company to modernise the house and built a service wing in the courtyard. After wartime military occupation, the estates and titles passed in 1951 to the 2nd Earl’s son, James, 3rd Earl of Ancaster and 27th Baron Willoughby de Eresby, who with his countess, Phyllis Astor, employed the architect R J Page and the decorator John Fowler to alter and improve the house, replacing the Edwardian service block with a single-storey kitchen range and turning the riding school into a garage. Now Grimsthorpe Castle belongs to the third Earl’s daughter, Jane Marie Heathcote-Drummond-Willoughby, 28th Baroness Willoughby de Eresby. It’s one of the finest country-house experiences for miles around. It deserves a whole day: there’s plenty to see, do, eat and drink. Of all the entertainments on offer at Grimsthorpe, the ranger-led Park Tour by minibus is particularly good value: http://www.grimsthorpe.co.uk/index.php?ID=15. This entry was posted in Country Houses, Country Houses of Lincolnshire on January 25, 2014 by Mike Higginbottom. As you drive eastwards along the A17 from Newark-on-Trent, it’s difficult to miss seeing a splendid Georgian house sitting on the top of the escarpment. This is Leadenham House. Despite its prominent position, it was virtually invisible when the main road clambered up the slope to Leadenham village; since the by-pass opened in 1995 it’s become an attractive landmark for travellers. 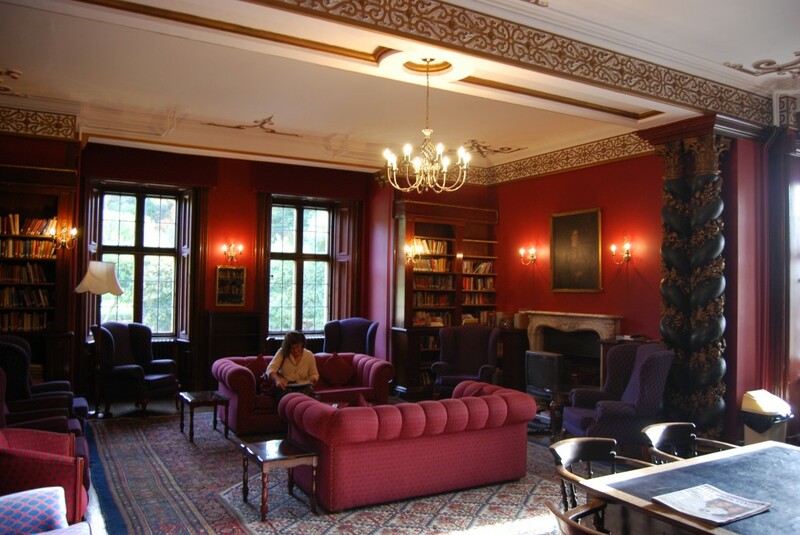 Leadenham House is open to visitors on a limited basis: William Reeve’s descendant, Mr Peter Reeve, uses visitors’ fees to support the Lincolnshire Old Churches Trust. Opening arrangements can be found at http://www.stately-homes.com/leadenham-house which cheerfully advises prospective visitors to “ring the front door bell, as they aren’t open in any sort of commercial sense and all the money they receive from visitors goes to a village charity, so there is nobody waiting expectantly for anyone to arrive”. There is a fulsome description of the house and its owners at http://www.lincolnshirelife.co.uk/uploads/files/homes_and_gardens/homes-0106.pdf. The other reason to visit Leadenham is much more freely open. The George Hotel is my favourite pit-stop on journeys along the A17, whether for morning coffee or a sandwich lunch. The pub prides itself on using beef from Lincoln Red cattle. It also has a world-beating collection of seven hundred malt whiskies, collected since 1970. Just think: if you lived within walking distance you could go to the George for what Denis Thatcher referred to as a “tincture” every night for two years without repetition. Ranged round the walls of the bar is a positive library of malt whisky. The only down-side is that the prices of a single single malt range from £2.10 to £350. The George website [http://www.thegeorgeatleadenham.co.uk] recommends the malt liqueur Drunkeld Atholl Brose [sic] which you can sip on its own or with fresh cream floated on top. Denis Thatcher would have been appalled: he avoided ice because, as he said, it dilutes the alcohol. This entry was posted in Country Houses, Country Houses of Lincolnshire, Life-enhancing experiences on December 29, 2013 by Mike Higginbottom. 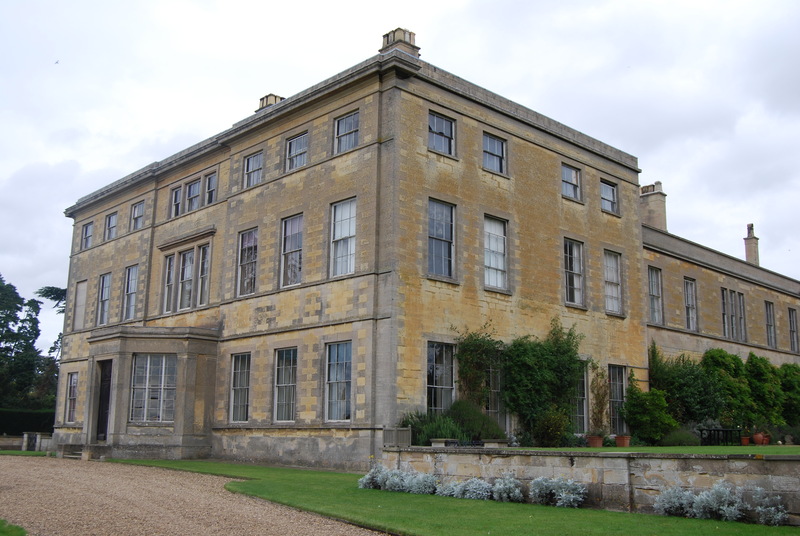 One of the delights of the 2010 Country Houses of Lincolnshire tour was visiting Fulbeck Manor, where Julian Fane shows some four centuries of family portraits. There is always something special about being invited to a country house that is still a home, and being shown round by the owner rather than a bought-in guide. 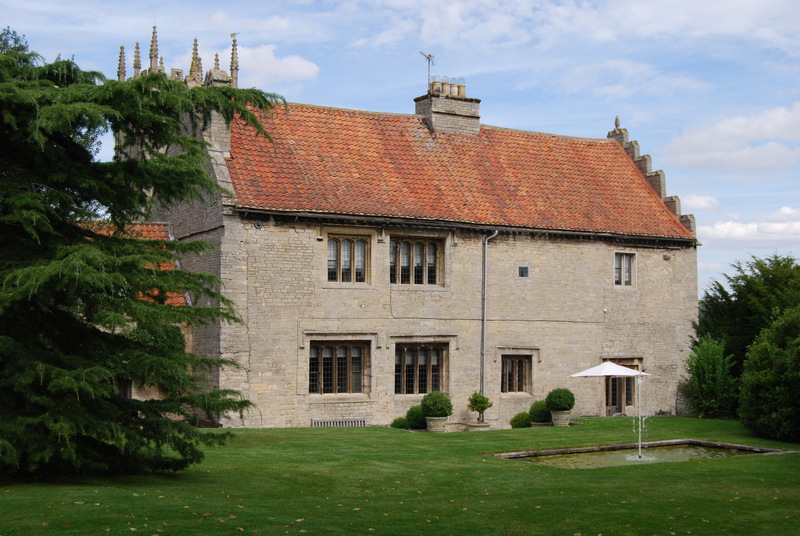 Fulbeck Manor is exceptional because Mr Fane describes and shows his direct ancestors back to the sixteenth century. Alongside the direct line of Fanes there are of course cousins. I particularly enjoy the story behind a pair of paintings by Harry Hall of the horses ‘Agility’ and ‘Apology’ which celebrate the embarrassing racing successes of Rev John William King (1793-1875). Despite his use of a nom de course, Mr Launde, Agility’s twenty wins and £6,000 prize-money, followed by Apology winning the fillies’ Triple Crown (the 1,000 Guineas, the Oaks and the St Leger) in 1874 as well as the Home Bred Sweepstakes at Newmarket, the Coronation Stakes at Ascot and the Ascot Gold Cup provoked the Bishop of Lincoln to demand that as a clergyman he choose between the Church and the Turf. In reply, Rev King sent the bishop a card on which he wrote the one word, ‘Apology’. 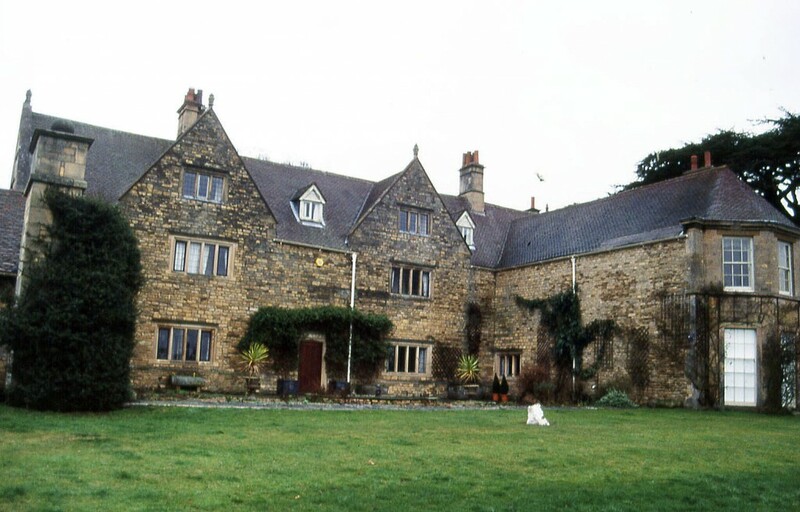 Fulbeck Manor is open to groups of up to twenty-five people by written appointment only: details can be found at http://www.statelyhomes.com/areas/details.asp?HID=2329&ID=1006&path=12,32,38,1006&town. 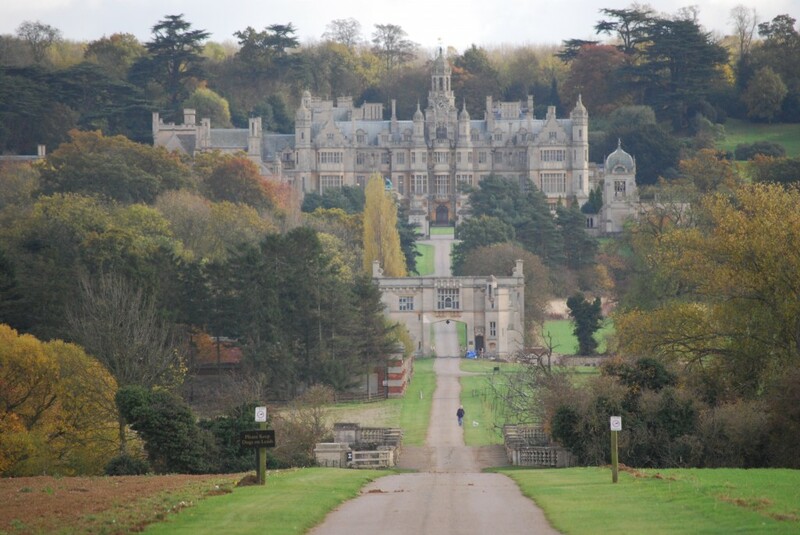 This entry was posted in Country Houses, Country Houses of Lincolnshire on December 27, 2013 by Mike Higginbottom. 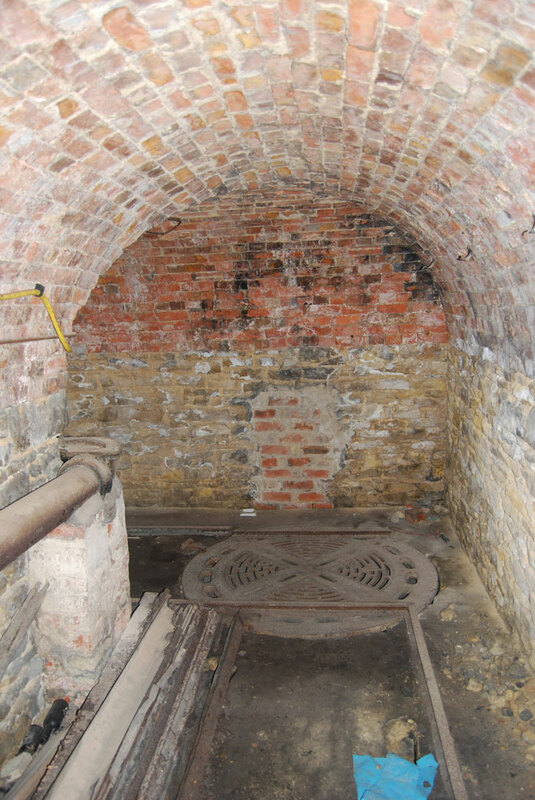 When I first got interested in local history, at the age of sixteen, I and my mates had an obsession with what we believed to be secret tunnels, often attached to Georgian houses in mid-Derbyshire where we lived, only to discover in our maturity that they were in fact land-drains. Now I’ve found a tunnel under a country house that really has been a secret and is really a tunnel. I’m particularly glad that Country Houses of Lincolnshire (August 6th-9th 2010) is based in the magnificent surroundings of Harlaxton Manor (Anthony Salvin & William Burn, 1830-7), and whenever I’ve taken groups to Harlaxton I’ve always tried to include Stoke Rochford Hall (William Burn, 1841-5), a fascinating scaled-down version of Harlaxton for an owner who wanted a splendid but manageable Jacobethan house with what were later called all modern conveniences. Stoke Rochford is even more interesting since the disastrous 2005 fire because English Heritage insisted that almost all of the destroyed Victorian craftsmanship should be meticulously replaced, and the owners, the National Union of Teachers, now have a conference-centre full of brand-new “Victorian” craftsmanship. When I went to reconnoitre for the 2010 tour Suzi, my guide, casually mentioned a “coal tunnel”, and showed me a virtually intact brick tunnel, complete with iron railway-rails and turntables, to convey coal into the house. The staff at Harlaxton, now the American campus of the University of Evansville, Indiana, are very proud of their railway-viaduct, with wooden rails, that brought coal and other goods into the attics of the house, and had no idea that the neighbours at Stoke Rochford had in their cellar a similar facility which, it has to be said, is more modest in size but perhaps better preserved. This entry was posted in Country Houses, Country Houses of Lincolnshire, Victorian Architecture on December 25, 2013 by Mike Higginbottom.